American Indian Horses (also known as cow ponies, buffalo horse, mustang, Indian pony, cayuse, or Spanish pony) are descended from horses brought to the Americas by Spanish conquistadors and colonists. American Indian Horses proved to be tough and thrived on the grassy plains of the Americas. American Indian Horse’s registry was created in 1961. The organization was started for the purpose of collecting, recording, and preserving the pedigrees of American Indian Horses. 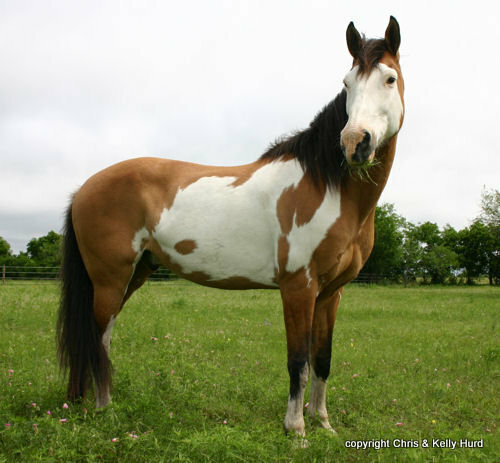 American Indian Horses generally range in height from 13 to 16 hands (52 to 64 inches, 132 to 163 cm) and weigh between 700 to 1,000 pounds (320 to 450 kg). They may be any coat color and both pinto and leopard spotting patterns are common.